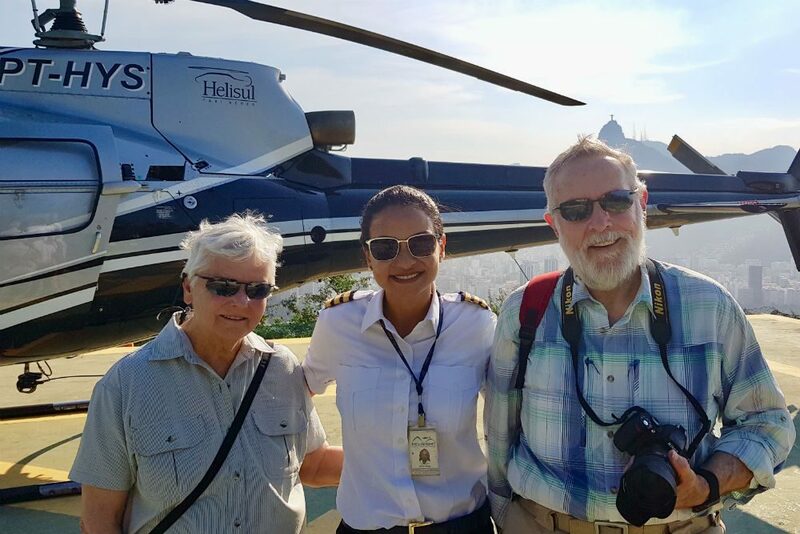 Gerry and Anne O’Connor of Stony Brook, New York, are just back from Brazil, where their adventures included a surprise WOW Moment. 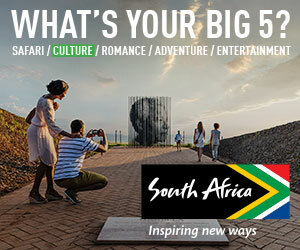 A WOW Moment is, of course, an exclusive insider experience that Wendy adds to every third qualifying WOW List trip. 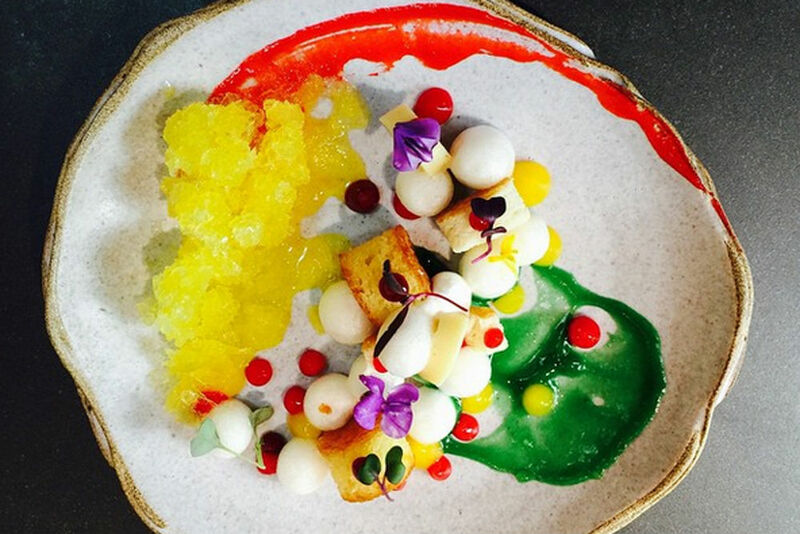 The O’Connors’ WOW Moment came on Day 7 of a 22-day itinerary designed by Rio-based Brazil specialist Paul Irvine. Usually, when a traveler returns from a WOW Moment, we interview them. But Gerry was so moved by his Rio surprise that he wrote an article for us before we even had a chance to ask him. What follows are his own words about what Paul orchestrated for them in Rio. Anne and I were dumbfounded. During our many conversations with Paul, we had never talked specifically about the WOW Moment. We had become so focused on the journey that we had forgotten all about it. 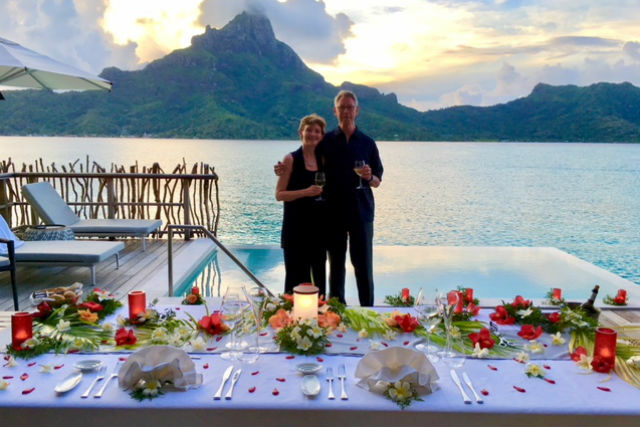 But after numerous emails and itinerary modifications, Paul knew us well—our interests, limitations, hopes, and dreams. We had met Carlos after our first night in Rio. As we were leaving the hotel for our first day of touring Rio, the concierge nodded toward Carlos, gave us the thumbs-up sign, and mouthed, “He’s the best!” We knew we were in good hands. Now, however, he was smiling but totally non-communicative, which was very unlike him. Normally loquacious, he had pressed his mute button. At Rodrigo de Freitas Lagoon, Carlos parked the car and asked if we were up for a short walk. I grabbed my camera, water bottle, and backpack. We walked, strolled, and walked some more, almost completely circumnavigating the lagoon. Anne and I began exchanging puzzled glances and shrugging our shoulders, convinced that Carlos was either lost or stalling for time. As we passed through a slightly open iron gate, I suddenly saw a windsock. That’s when I remembered telling Paul about a helicopter ride we’d had in Kauai, and how much we had enjoyed seeing inaccessible terrain from aloft. At the same time, I recalled Carlos, our normally talkative guide, telling us how much he hates heights. The helicopter arrived, and from it emerged a female pilot festooned with military-like epaulettes—most impressive! After a quick pause for introductions and photos, off we went. 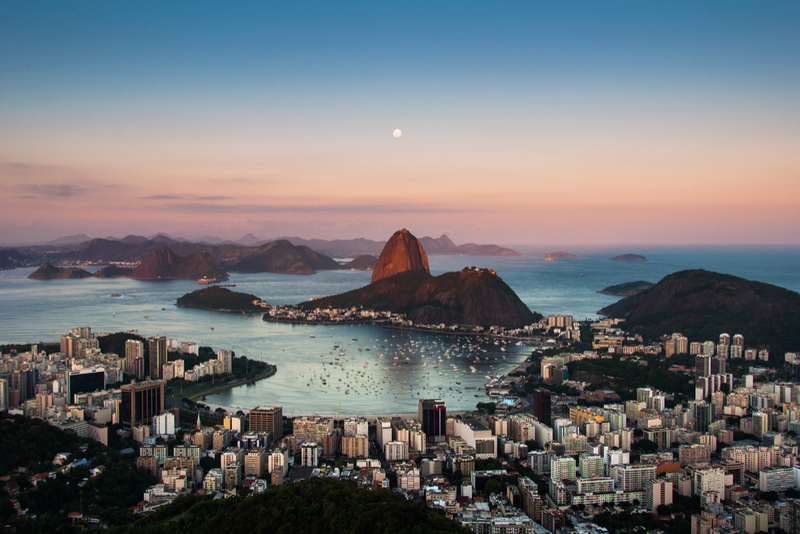 The aerial view of Rio is awe-inspiring. It revealed in graphic detail the scope and depth of the city’s architecture, its variable terrain, and its population density. 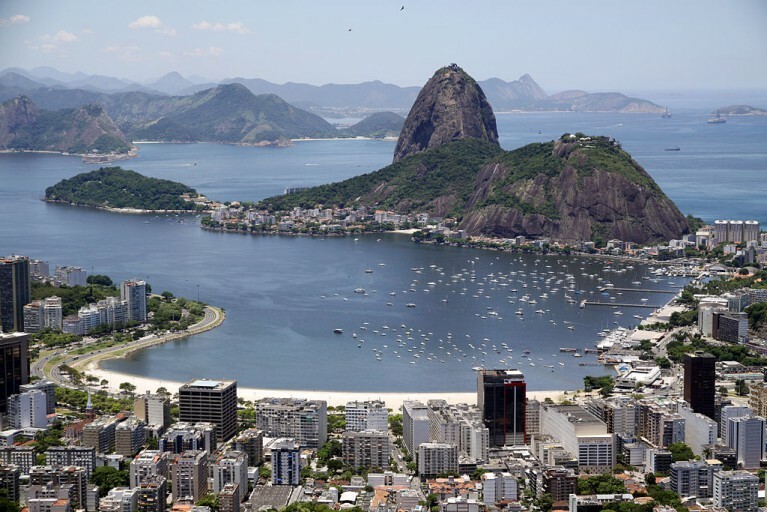 It also highlighted the city’s diversity of housing and, unfortunately, its cultural inequality and the poverty of the favelas surrounding sections of Ipanema and Copa. 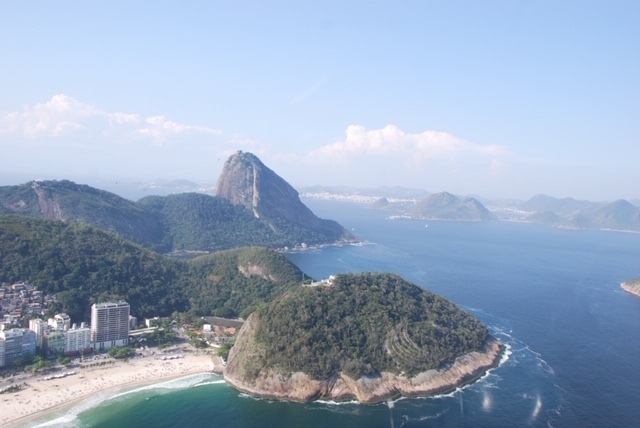 We flew south along the coast and then turned north, flying over Copacabana Beach, with the statue of Christ the Redeemer looming just off our port side. We gradually descended to a postage-stamp platform that jutted from the side of Morro da Urca, a smaller peak adjacent to Sugarloaf. Engines and blades rotating, we exchanged handshakes and mouthed our farewells to the pilot, who was off to São Paulo to ferry an executive to a private villa. After buying tickets for the cable car ride to the summit of Sugarloaf, Carlos ushered us to a portico with a spectacular view of the mountain. For the next 45 minutes, in an area cordoned off for us, we were given a private tutorial by a master mixologist that included the making of a perfect caipirinha, Brazil’s national drink, as well as an explanation of the origin and cultural significance of cachaça, the distilled spirit made from fermented sugarcane juice that is the drink’s main ingredient. Our bartender was specific and exacting, the consummate chemist, peering sternly over our shoulders as we gleefully attempted to replicate his precision and exactness. 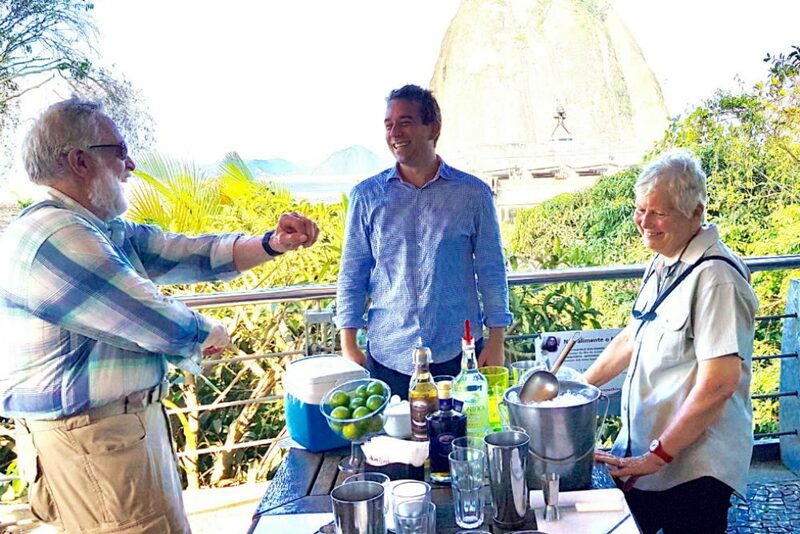 Consuming our beverages—with maybe a little more cachaça than was originally recommended—was the final component of this drink-making experience. The drinks were bloody delicious. 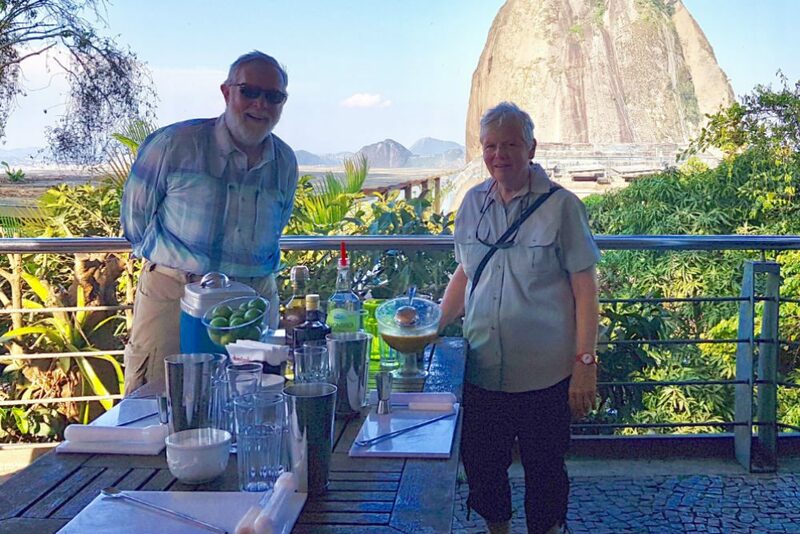 The O’Connors making caipirinhas, with Rio’s Sugarloaf mountain in the background. Paul is a good puppet master, but even he couldn’t pull off a perfect sunset, as clouds rolled in to obscure the view from the upper reaches of Sugarloaf. Still, nothing could dull or dim the thrill of the afternoon. We rode the Swiss-style gondola back down the mountain and took an Uber back to town. While in traffic, Carlos—having regained his comfort level now that we were safe and secure on the ground—called the restaurant where we had dinner reservations and explained our more-than-one-hour delay. The restaurant not only held our reservations but also welcomed us with complimentary margaritas. In all our travels, a finer day would be hard to recall. Mark Twain famously said, “Travel is fatal to prejudice, bigotry, and narrow-mindedness, and many of our people need it sorely on these accounts. Broad, wholesome, charitable views of men and things cannot be acquired by vegetating in one little corner of the earth all one’s lifetime.” The WOW Moment is another tool that opens us to world views that are nearly impossible to comprehend without this kind of first-hand experience.